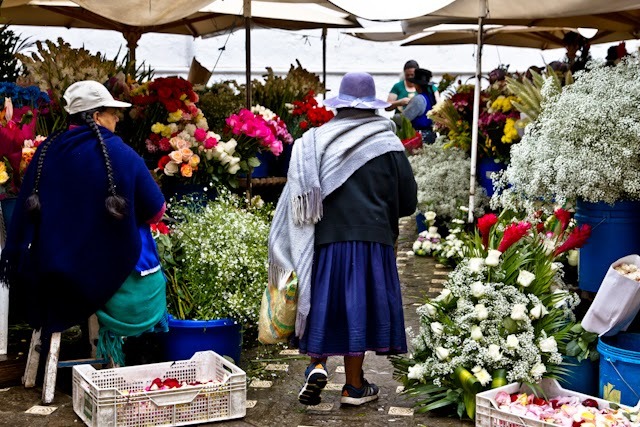 FOCUS ON ECUADOR - Our Adventure in Cuenca Ecuador Through My Lens! 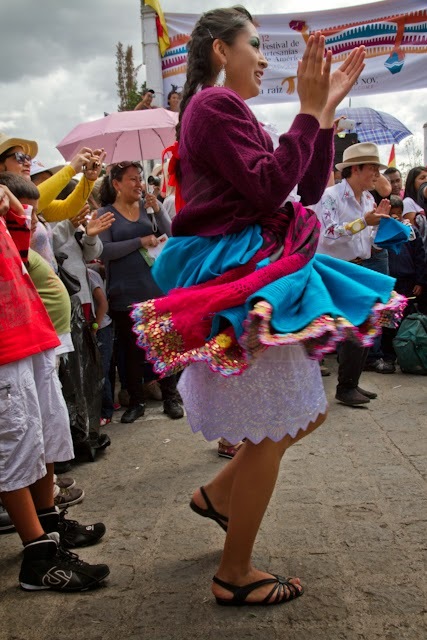 PICTURES TELL THE STORY of why we decided to expat to Cuenca, Ecuador. 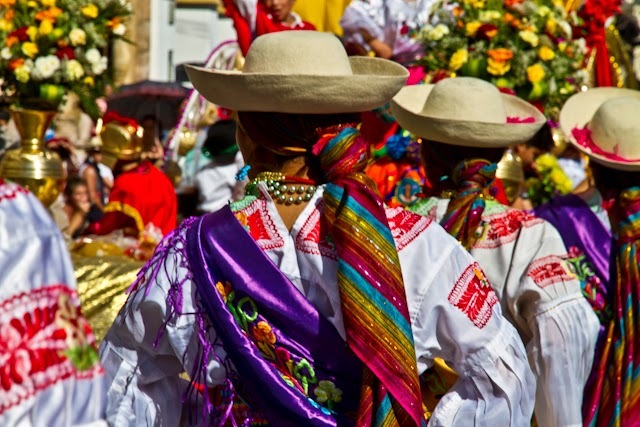 Cuenca Ecuador's Celebration of AÑO VIEJO - Cuenca's Old Year! 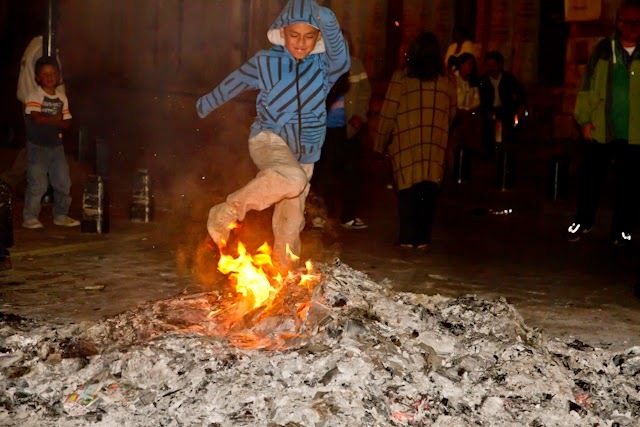 and who we will burn for 2014? 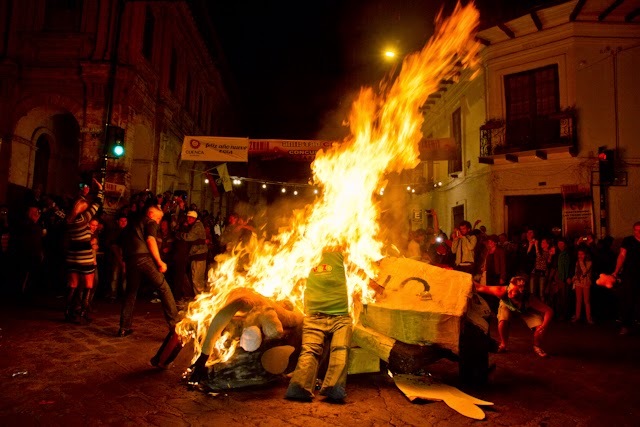 It's almost here - the end-of-year 2014 burning of the effigies! 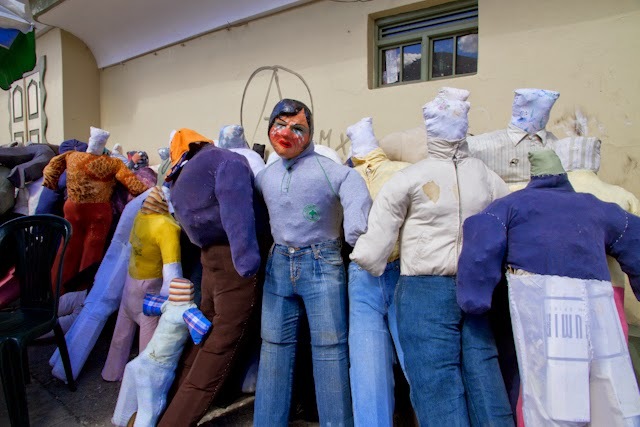 Dummy bodies and paper mache' masks bearing the likeness of different celebrities, cartoon characters, presidents, or people who resemble someone you might know are being chosen and purchased, ready to be set on fire at midnight December 31st. It's a wild and crazy night for many - and a very different kind of celebration for anyone who hasn't experienced it yet. So get ready! Bo and I had our effigy hanging over our terrace last year for several days, and it would scare the crap out of me every day until we finally burned it with the crowds at our neighborhood block burning party. 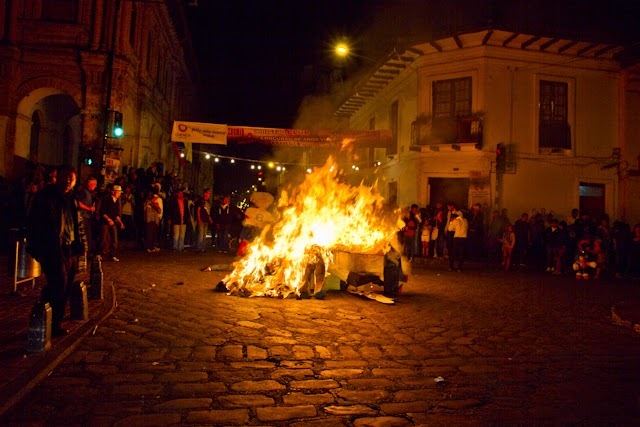 Yes, in El Centro, it's one big smokin' "burn" party as thousands of Ecuadorians and many Gringos participate in this yearly tradition that has been celebrated for years. The air will be filled with smoke and the sky will be bursting with fireworks. I am not aware of the origin of this yearly custom, but I read that it could date back to a time when corpses were burned during a yellow fever epidemic. Ya think? Sounds a bit off to me, but who knows? 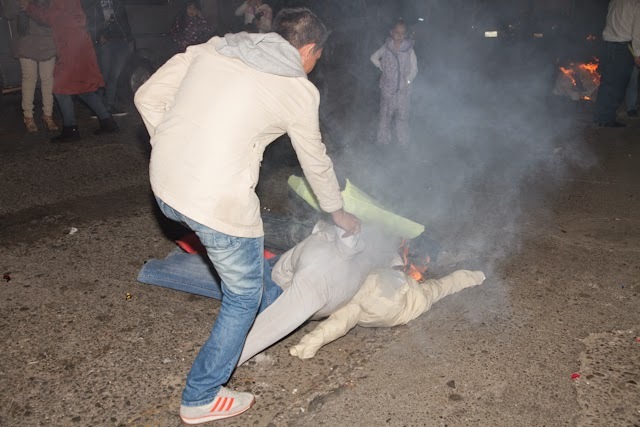 The effigies are supposed to represent the old year (años viejo), and some construct their effigy to specifically resemble someone they may dislike (like a current President) or someone personally they may have issues with. The dummy may simply represent past disappointments. Some pin a handwritten note on their dummy to specify their new year's goals. For many who take this tradition seriously, they are demonstrating their desire to erase the past by letting go of the good and the bad, and starting a renewed year of new hopes and goals. 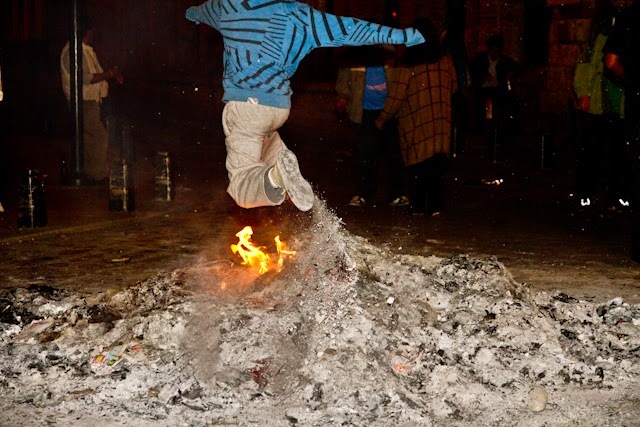 You will see many leaping over the burning dummies, usually three times for good luck. 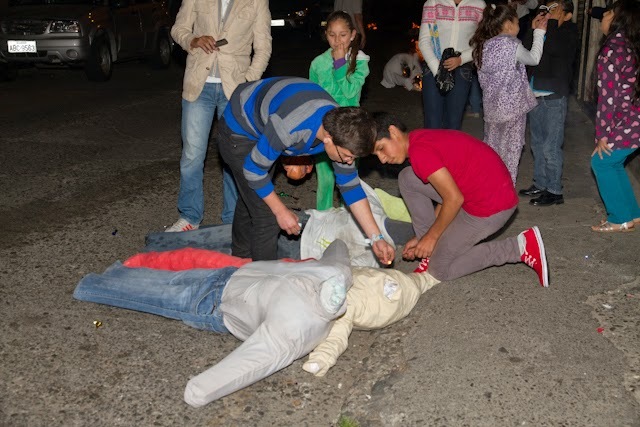 There have been emergency room visits by some who end up injured by the fire or exploding firecrackers or rockets embedded in some of the dummies. Wild and crazy, I say! Be looking for your neighborhood "burning" party! 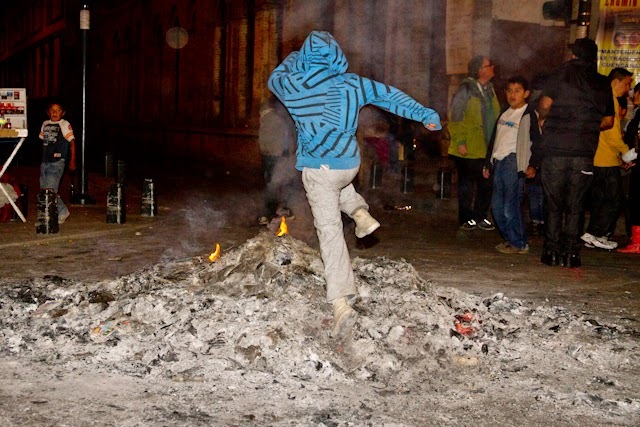 There will be many throughout Cuenca, including loud music, crowded bars, drunken staggerers, piles of burning effigies, fireworks, and more. As for Bo and me, it will be our third year of saying "Adios" to the old and "Gracias a Dios" for every new day and blessing we will embrace in the year to come. HAPPY NEW YEAR to all our BLOG fans and followers. 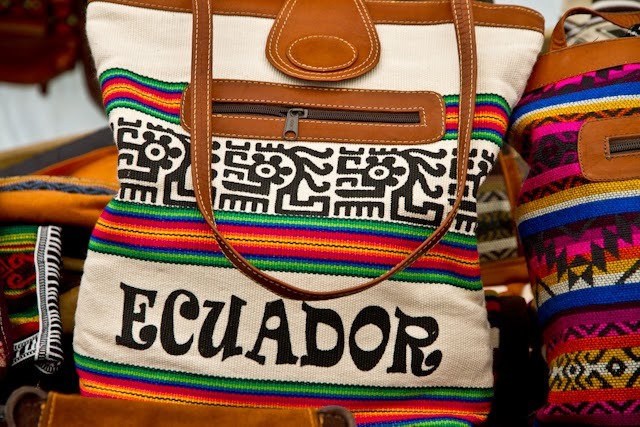 May the year ahead be one where your goals and dreams are fulfilled - especially to those planning their exit from their current lifestyle to begin a new adventure in Ecuador. 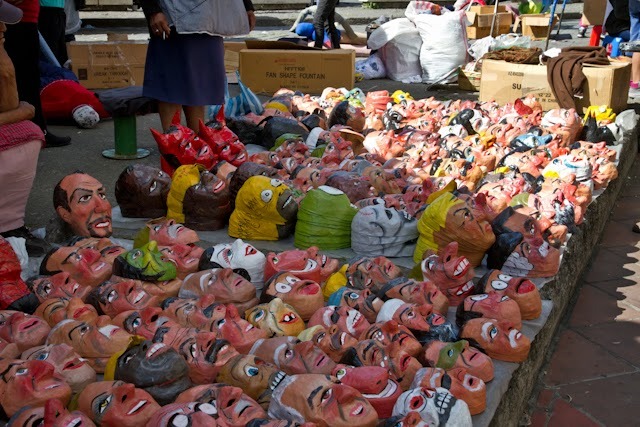 Hand-crafted paper mache masks of every kind line the streets ready for sales. Most sell from $2 to $5. Our neighborhood girls choose their fireworks carefully! The main street of Calle Larga is blocked off, ready for one of many big burn piles in El Centro! 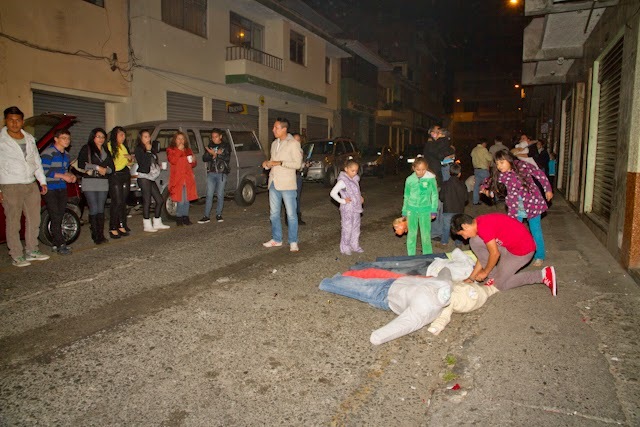 You'll see taxis, cars, and trucks whizzing by with an effigy tied to it. 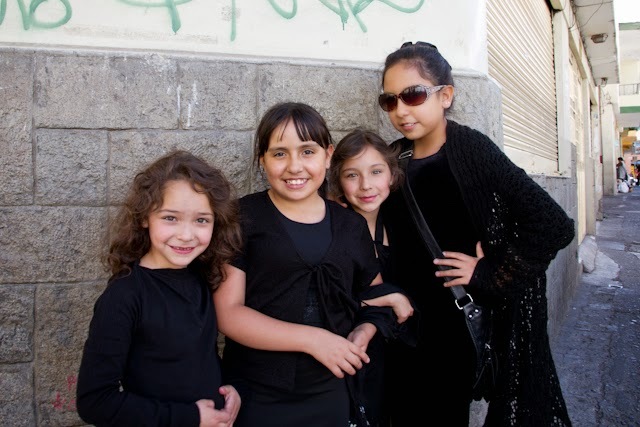 Our neighbor girls get dressed in black to represent "La Viuda" - The widow mourning the death of the old! 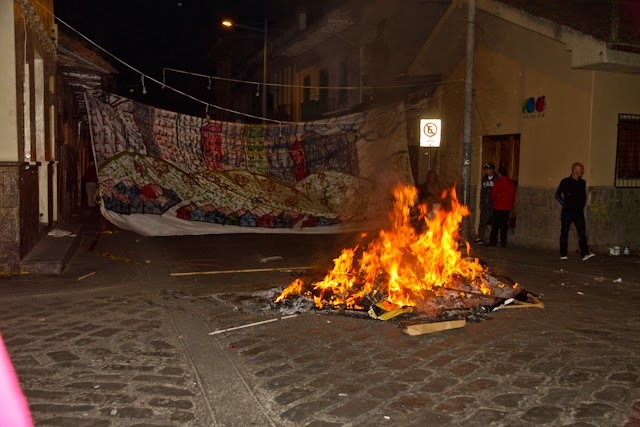 Outside our door, our neighborhood gathers to begin the burning of the viejos. It's almost midnight! ......and the crowds gather to watch the effigies going up in flames! One block away, on Calle Larga, another pile is burning. 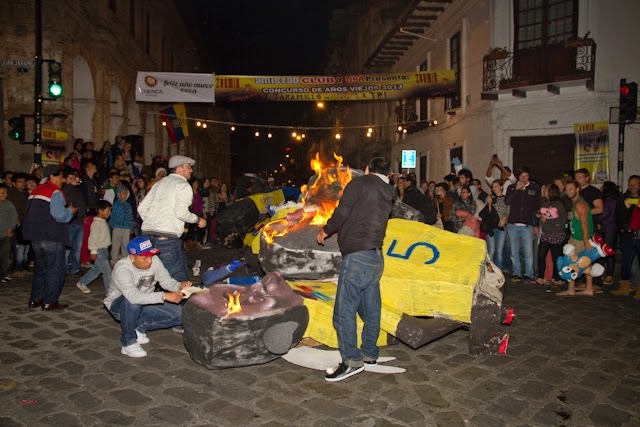 All over the city of Cuenca, the smoking flames and ashes rise to the skies! .....leap #3 for good luck in the coming year! What a wild and crazy night it was. We're looking forward to celebrating again tonight with special friends and our neighborhood party people. 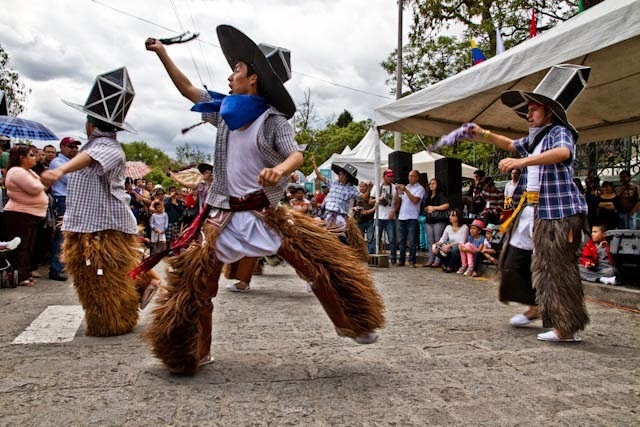 So, ya'll come out of your caves and find a neighborhood to join in the Cuenca celebration! 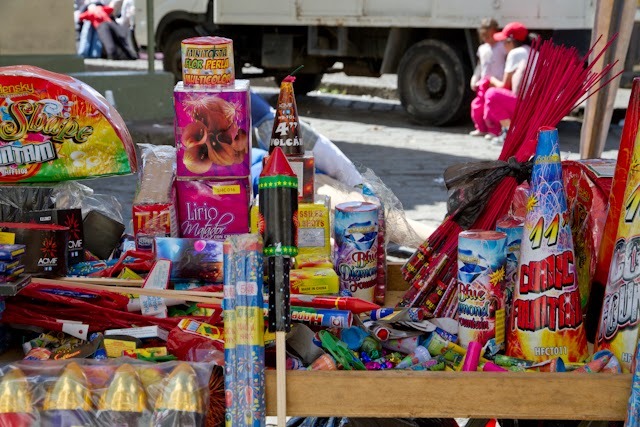 From Bo and Linda and our neighbors on Santa Teresita in El Centro - "Feliz Año Nuevo" to all! 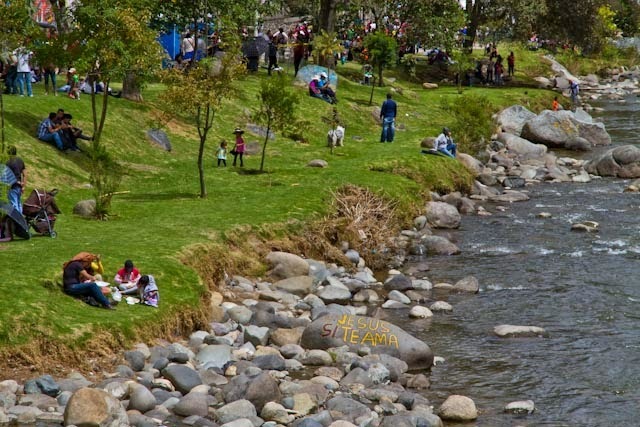 Our COST OF LIVING in CUENCA, ECUADOR - Two Years Later!!!! Is it really two years later? 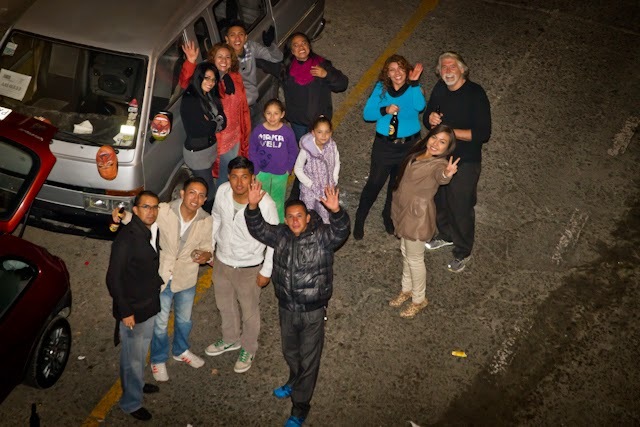 I clearly remember that day on December 5th, 2012 when we landed for the first time in Cuenca, Ecuador (No, we didn't do an exploratory visit prior!). 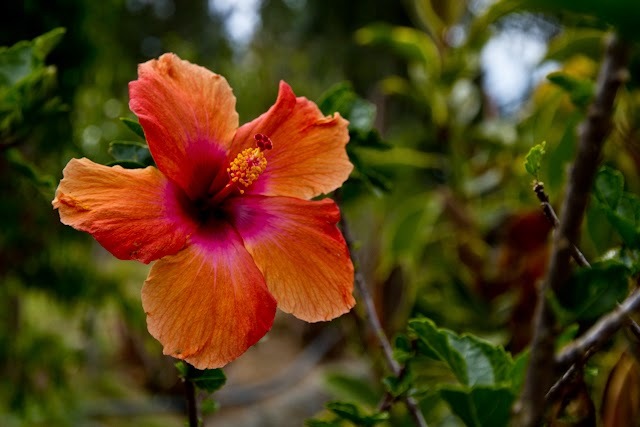 We didn't have a clue about how our life in Ecuador would unfold. All we knew was that we wanted to simplify our life, retire early while we still had our health, move somewhere with mountains, rivers, warm weather and less rain than the Willamette Valley, and where the medical care and cost of living was affordable to allow for our early retirement. This was the list of priorities as we researched and read about the best places to retire in and out of the USA. There were and continue to be many challenges and frustrations living in a new land away from the familiar and predictable lifestyle of a culture we knew - but it's worked for us and we are both in agreement to stay here and call this "HOME." This "Oregon to Ecuador" BLOG was created a couple months before we finally left for Cuenca, while we were still living in the family room of our empty house, waiting for renters and attempting to get all of our necessary documents apostilled and ready for our entry into Ecuador. Our journey had just begun, and I started this blog as a way to stay in touch with family and friends so they could read about our ex-pat adventure. 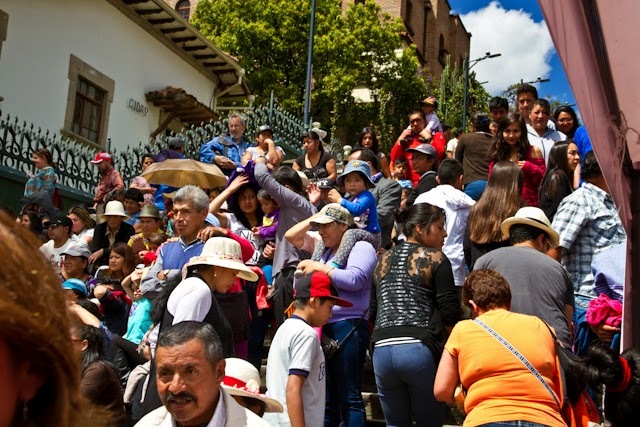 Never did I imagine that our Ecuador Blog (NOW OVER 101,000 HITS) would be read by so many people wanting to know all they can about Cuenca before taking the same steps to possibly make this their city and home. 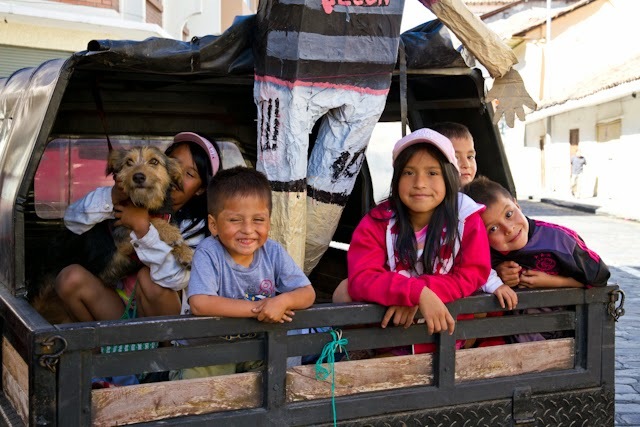 Through this Ecuador Blog we have met so many people - many just leaving their kind comments, and others whom we've personally met once they've arrived here. Some have been for a reason, some for a season, and others have become dear and intimate friends that hopefully will be for a life time. 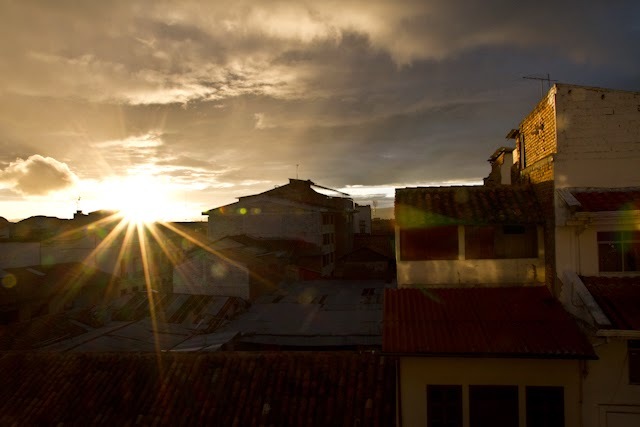 Lots of changes have taken place in the past two years living in Cuenca. We moved 5 times in the first 4 months before we found our longer-term home. It's okay to move a lot. Is it fun? Not if you have lots of stuff to move. We didn't! The first 4 places were furnished and we just had to roll our suitcases down the streets of El Centro (we always seemed to move just within a few blocks from the last place). We've stuck with this last apartment and it's become our comfortable, affordable, and lovely little apartment . The greatest and most difficult change for me was when we sold our Oregon home in October. It was the BIG "burning of the bridge" - one that we had talked about for a few years, but this time it really happened. I actually went through a huge grieving process - lots of tears and sobbing the day I received the "good news" from our dear realtor that said, "Congratulations! It is finished!" Such final words to read and digest for me. Yet, I was so grateful we were able to sell our home and no longer have that burden - dealing with a 100 year old renovated farm house while living thousands of miles away. Am I glad? Yes! Am I sad? Yes! I am still adjusting to the fact that my Oregon country home of 40 years is no longer in my life - but I still have my years of precious memories. The greater challenge for Bo has been the language barrier. He's the one in our family who has always been the spokesperson for any challenges that may arise. He's also a "people person" who loves to share with others. It has not been easy for him to have to depend on me to be his translator. But, we've made it work. I have been enjoying watching Bo learn Spanish and go out there and speak it more and more two years later! 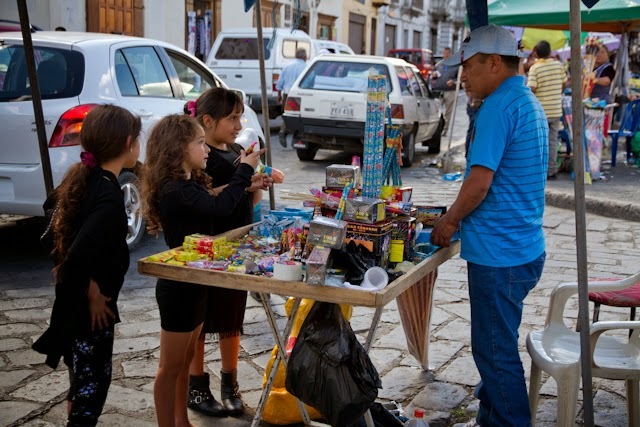 He has conversations with the locals, has become more familiar with our small community where we live, and is now able to communicate with our Ecuadorian family of friends. He continues to purpose to learn the language, takes weekly lessons, and is DOING IT!! Has it been easy? NO! Is it possible that he will speak fluent Spanish the longer we live here? ABSOLUTELY! His desire to learn the language is what makes it happen!! The second greatest challenge for Bo that required getting used to was being "jubilado." Retirement for an ex-corporate guy ain't easy. "Now what do I do with my time?????" Two years later, Bo has to schedule free time for himself to get caught up on personal things because he's out there doing stuff, has met some great "guy" friends, and then has his wife to hang out with (that would still be me!!!!). 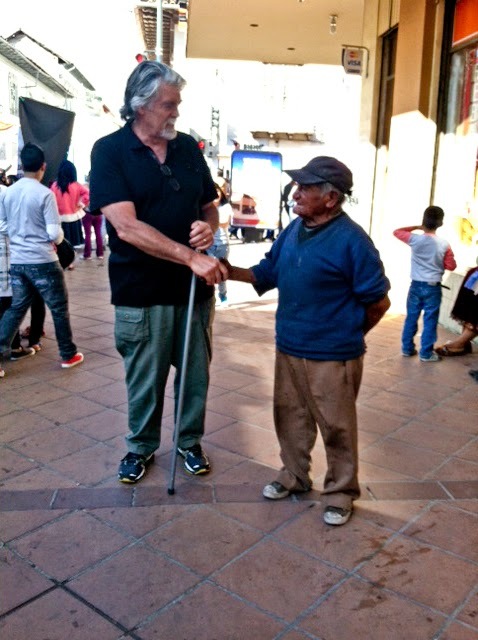 So, lots of changes for Bo, but HE'S DOING HIS RETIREMENT LIFE IN CUENCA!!! The reality is that there have been many challenges and "suddenlies" in ex-pat life for both of us, individually and as a couple. But, we have purposed to make this journey work together because all the pros outweigh the daily life challenges and frustrations we would be facing anywhere - it's a part of life!! We either figure it out or we allow life's challenges to steal our joy and take us down (and they have, but we've climbed back up). I often wonder how other couples are doing? Did they come here thinking it was going to be like the USA? Did they come here together, or did one want to come and the other followed along because they felt they had to or they'd be left behind? I wonder about individuals living here. Are they here feeling bitter because they couldn't financially make it back in the states, and would they go back if they could? Or, did they come because they are adventurous souls and love to travel and aren't attached to their STUFF (if they even have STUFF)? 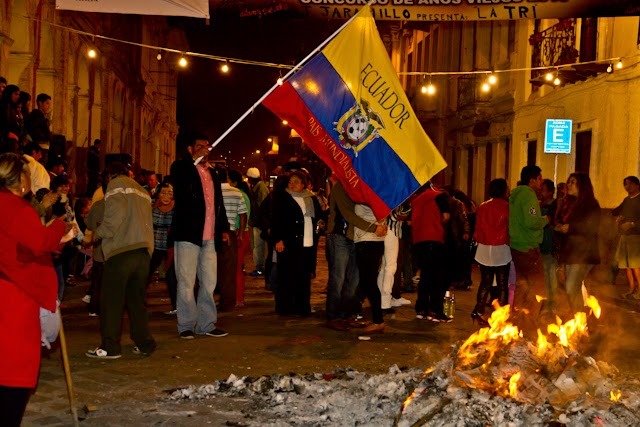 If we listen closely, we can tell who is here with an open heart embracing the culture and loving the Ecuadorian people and lifestyle, and we can hear the bitter, negative, complaining from those who don't really want to be here but believe they have no other choice. I continue to see more and more ads for garage sales and ex-pats now liquidating their STUFF here because they are returning to their previous country. LOTS! Some say it's because of health reasons, others say it's because they ran their course here and are moving on (or "back"), or they miss their family, they don't like the weather, the culture is too frustrating for them (one guy we met disliked the people and pace here), and so many other reasons. Some leave after a few months and others leave after several years of living here completely settled in. 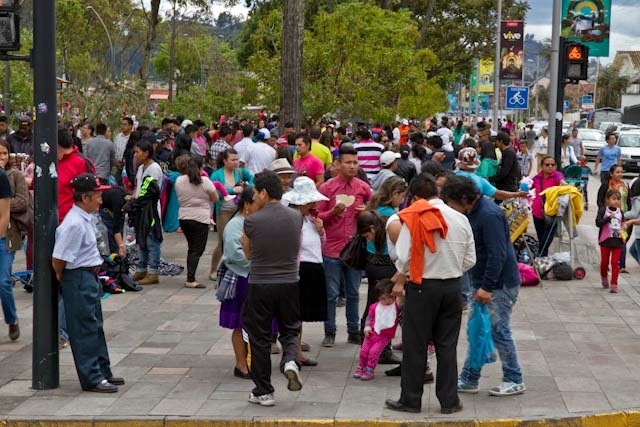 I imagine that those who are planning to make their future transition from their USA comforts to a new life in Ecuador must question if they themselves will be able to adjust to another culture, language and lifestyle when they read about those who don't make it here. Personally, I know it is not an easy transition, but it is worth the adventure, experience and blessing of how it has changed the way I view life and live now. We just returned from three weeks back in "chilly" Florida - going back with the purpose of selling our two vehicles and Bo's Valkyrie motorcycle. We also had to go through years of family photos, saved cards, letters, and some sentimental keepsakes. Because we don't have children, it was another emotional "letting go." I mailed select family photos to my younger brother, and I threw away 60 plus years of keepsakes. Sentimental people save those things - that would be me!!! So, more tears (sentimental people cry a lot too) and heartache of tossing and shredding the most important of my STUFF. Yet, it's finally done and I have another sense of freedom because I don't have to cart around boxes of papers and photos anymore. I can now treasure and enjoy the ones I kept and will have with me in Ecuador. Do we miss the USA? Sometimes we think we do until we journey back there and go into reverse culture shock. The cost of food seems like it's doubled in two years. One afternoon Bo and I walked out of a not-so-fancy Florida restaurant because lunch for two (hamburgers) was going to be $40, and that was without the tip! 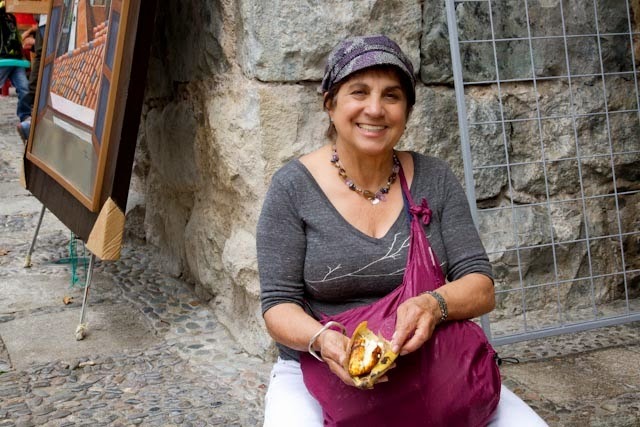 We cooked and ate most of our meals at home, and there was little to do without it costing a lot in the way of arts, culture, and exploring. Florida is not an area that we would even visit if not for our dear friend who is truly family to us. We are thankful the weather was "chilly" and we didn't suffer the Florida heat and humidity during this trip back. 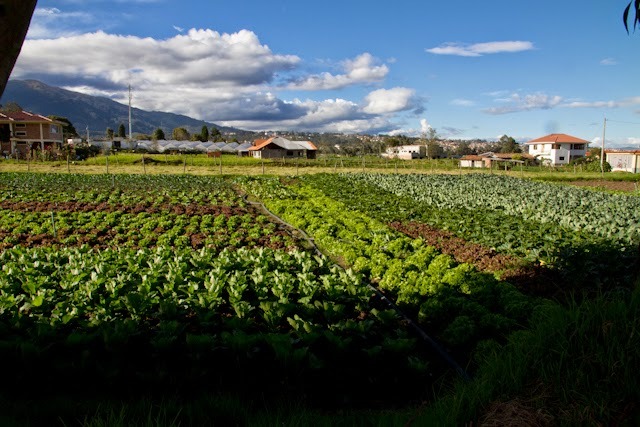 It's always an eye-opener for Bo and me to return from the USA and re-evaluate our Cost of Living in Cuenca, which is a huge reason why we enjoy living here. We continue to keep a DAILY spreadsheet of every cent we spend, and it's an accurate way for us to make adjustments so that we can be wise with our retirement funds and still live comfortably and affordable. For those contemplating retiring in Cuenca or those who are newly arrived, I hope this gives you insight to how we as a couple who do not live extravagantly budget our monthly expenditures. 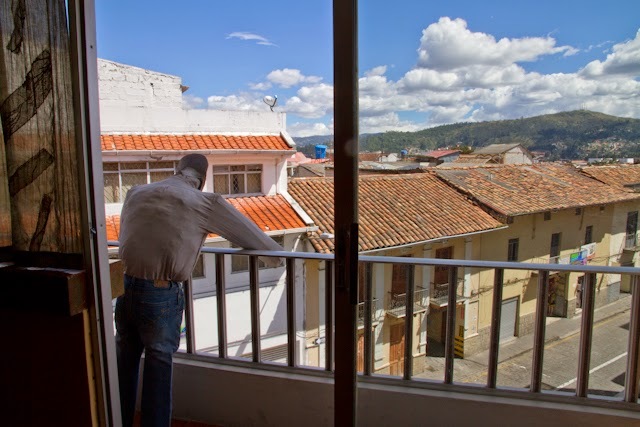 It's changed from when I've shared past "Cost of Living in Cuenca" posts (by about $500) - but it continues to stay within an affordable lifestyle that has allowed us to retire early while we're still IN THE YOUTH OF OUR OLD AGE. 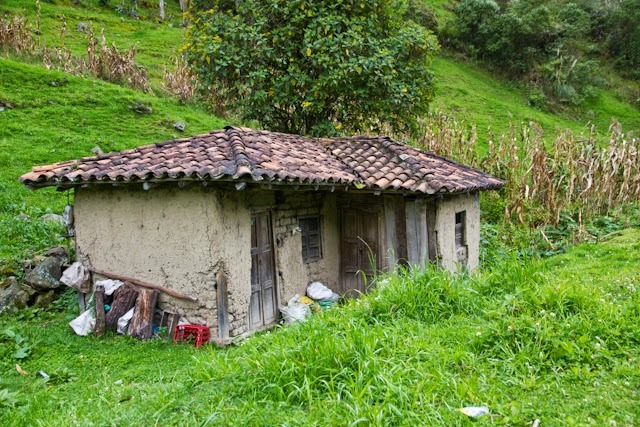 Our "COST OF LIVING" IN CUENCA - TWO YEARS LATER!!! RENT - $280 Monthly. We have been in apartment #5 for 20 months now. 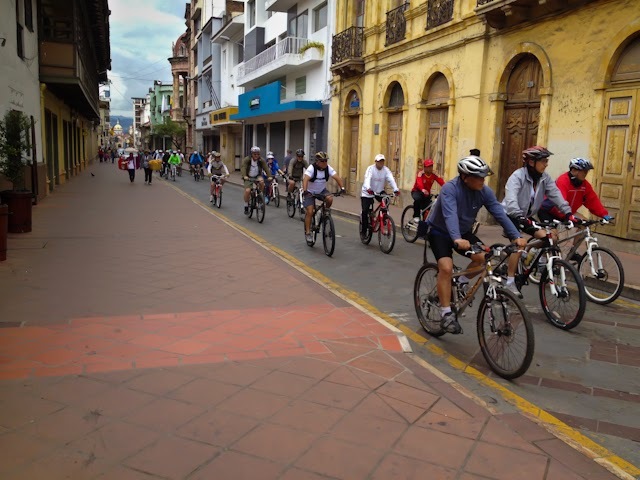 (Remember, we moved 5 times in our first 4 months in Cuenca.) We are always looking for the next "WOW" place, but every time we weigh the pros and cons of leaving here, we stay. Mostly because we love our location, but paying such an affordable monthly rent allows us more money to travel and to save. Also, after hearing about how much money other ex-pat friends of ours have poured into their rentals with no chance of reimbursement from their landlords, we are grateful that our place was clean, had no leaks or mold, and our landlord has been kind and generous to us. ELECTRIC - $25 Monthly. When we first moved into this apartment, our utility bill was $10 or less. Well, we didn't have the luxurious appliances and lamps and electrical drawing units that we now have. At first, we thought there was an error on the bill, but after a visit to the Electric Company and personally checking out the meter in our building, we were able to rest in the fact that this is our personal usage here. We were spoiled paying only $10. Yet, $25 is a lot less than what we paid in Oregon during our cold damp winters or air-conditioned summers. PHONE - $41 Monthly. That's for an internet plan for the two of us through Claro. At first, we used to buy minutes, but we decided we wanted to have the least expensive internet plan with enough monthly minutes for calls and texting. This has worked out fine for our personal usage. INTERNET - $28 Monthly. Our internet is through ETAPA. We live in El Centro, so this works for us. We have had few problems with losing internet or slow speed, so again, this works for us. Don't listen to all the horror stories you hear or read about when it comes to internet issues here. FOOD - $300 Monthly. We both like to cook! We like to eat most of our meals at home. Bo is the main cook! I LOVE to eat any meal prepared by Chef Bo! So, our daily expense for food comes from shopping at the 10 de Augusto Mercado one block from our apartment, and shopping at the tiendas around our neighborhood. We go to SuperMaxi if we need specialty items such as capers, and that is only about once a month. 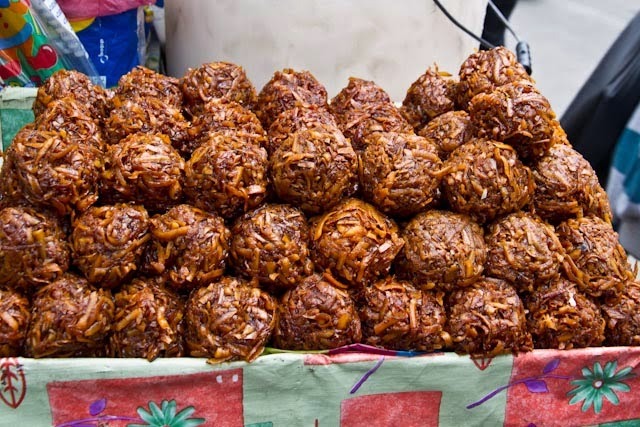 We visited Feria Libre a couple of times, but it doesn't pay for us to go that far out of our way when we have everything we need for our gourmet cooking right around the block from us. DINING OUT - $150 Monthly. We figured this high because it allows us to meet friends for special dinners and special occasions. We enjoy going to the $2.50-$3 Almuerzo (lunch) places, but we also like eating at some of the nicer restaurants around Cuenca. More friends makes for more occasions to eat out and celebrate the good life together. HOUSEHOLD - $30 Monthly. This covers paper and cleaning products, and toiletries. TRANSPORTATION - $25 Monthly. We walk to most places because our apartment is centrally located. 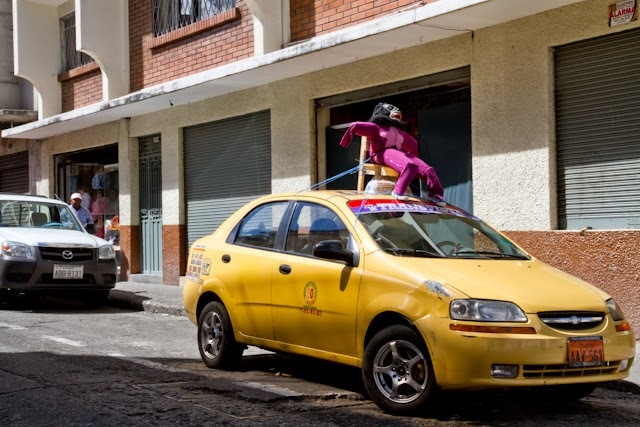 However, sometimes we take buses and taxis when visiting friends who live outside of El Centro if it's too far to walk. IESS INSURANCE - $82 MONTHLY. This covers both Bo and me at 100% for any medical emergency that might arise. We are also covered for any outpatient needs for medical, eye, hearing, physical therapy, prescriptions (if they have it in stock) etc. Dental is not covered for free until we reach 65. Our family doctor who is not in the IESS pool charges us $10 per visit and is available for a same-day appointment. 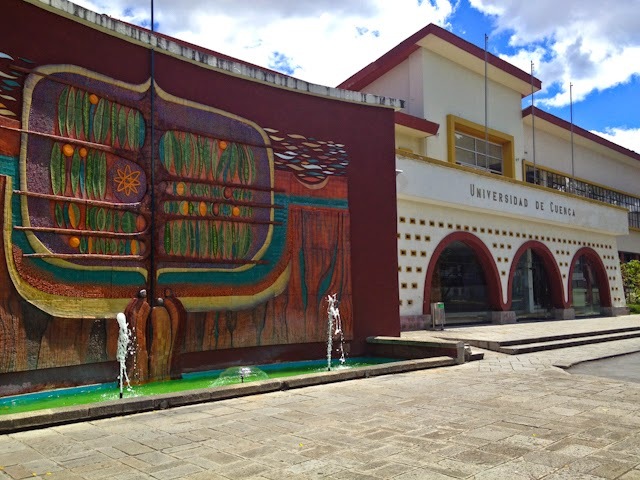 So, all of our medical needs are taken care of, and we have had positive experiences whenever we've had to use any of Cuenca's health care facilities. Back in the USA, our monthly medical premiums were already up at $600 for the two of us, and that was for catastrophic coverage only. MEDICAL EXPENSES - $200 Monthly. These expenses are outside of the IESS coverage for dental, medical, prescriptions, and eye. PROFESSIONAL SERVICES - $300 Monthly. This covers attorney fees, Accounting fees, Computer repairs, Spanish lessons, and any other professional services that we might incur. MISCELLANEOUS - $300 Monthly. Monthly, I have an iHerb package coming from the USA for special purchases such as vitamins, teas, herbs, food items, etc. This also covers entertainment, travel expenses, clothing, donations, Gym, Yoga classes, Massages, Haircuts, USA Mailbox expenses, and more. 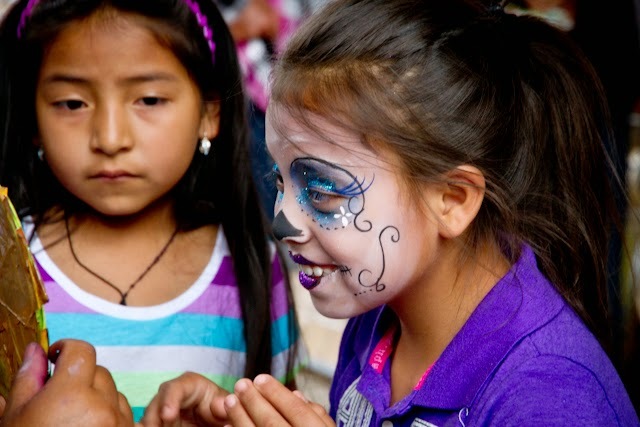 In two years, God has blessed us with every need and lots of wants in Ecuador! We love that our cost of living is still so affordable here and has allowed us to retire early. Mostly, we enjoy the many relationships and genuine friendships we have that are already golden! 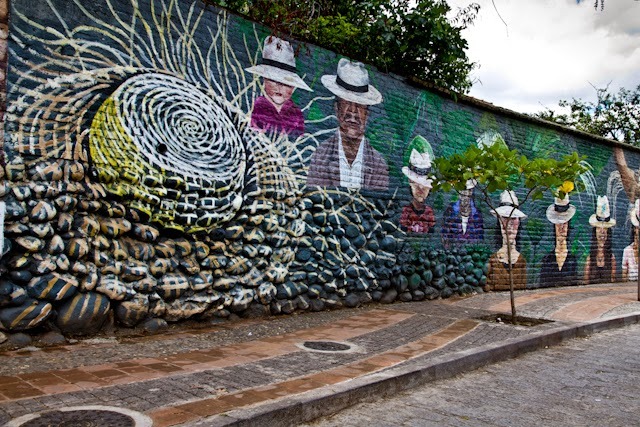 What's not to love about LIVING IN CUENCA? Each morning comes with renewed hope. 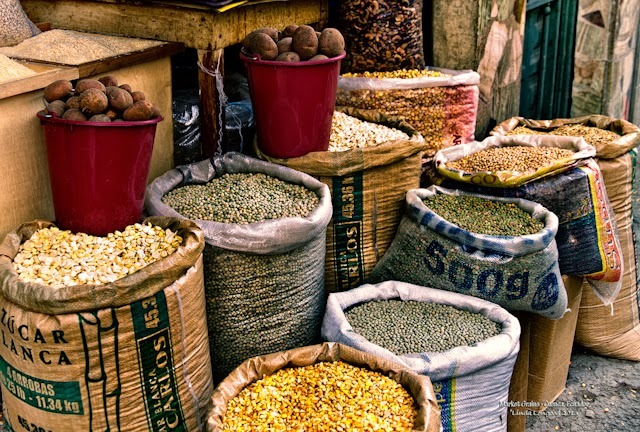 Market Grains along the street of Santa Teresa near the Mercado. Some of my adorable students who come to our apartment every Tuesday night for English lessons. They are the joy of our week. 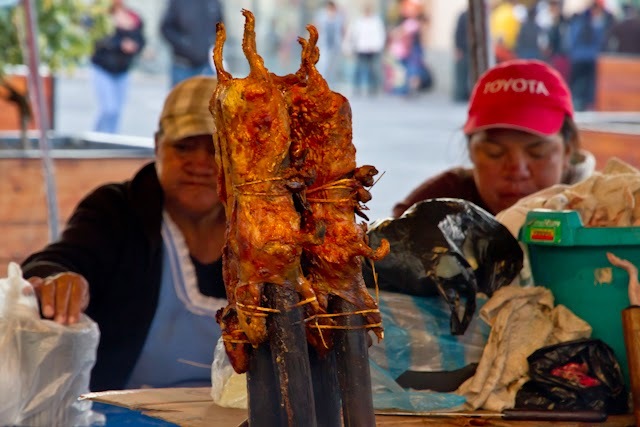 Cuy (Guinea Pig) is a delicacy in Cuenca - and very expensive! 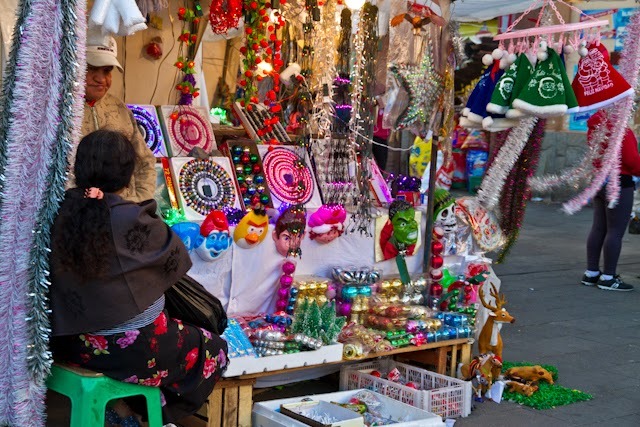 Christmas is a big deal in Cuenca - and vendors are lining the streets with their christmas wares. 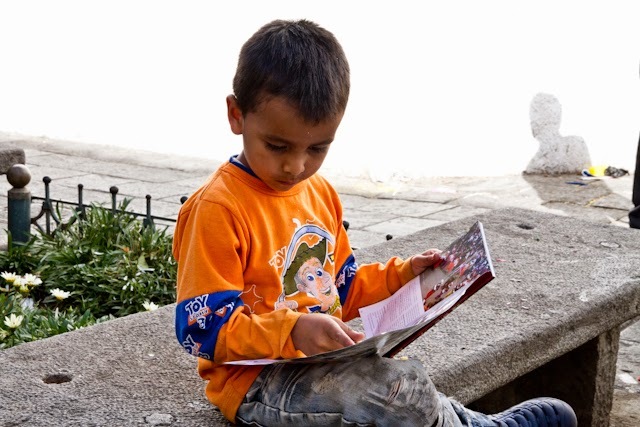 A young child enjoying his magazine. Is he reading or just looking at the photos? Families work long hours with the hope of being able to afford to give their children an education. 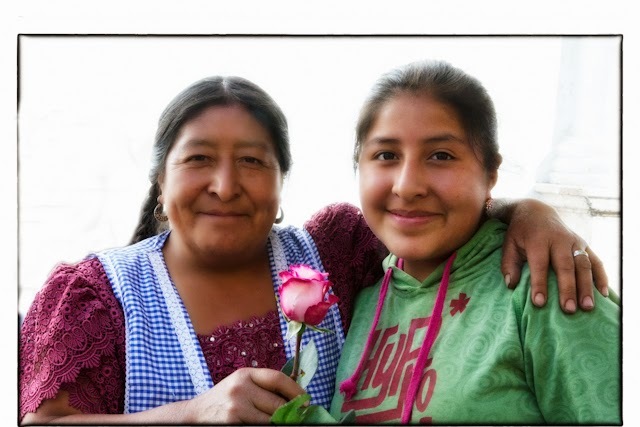 My dear friend and flower vendor, Anita with her daughter, Patricia. They bring joy to my heart whenever I see them. Our neighborhood girls - sisters and cousins. 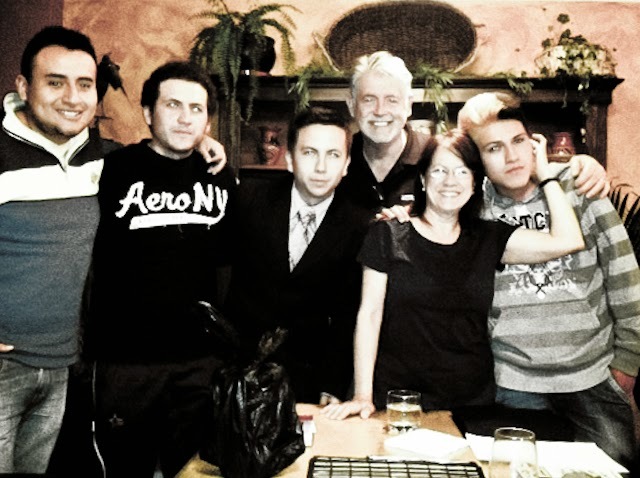 Family is priority here! It's MANGO season again, my favorite fruit! 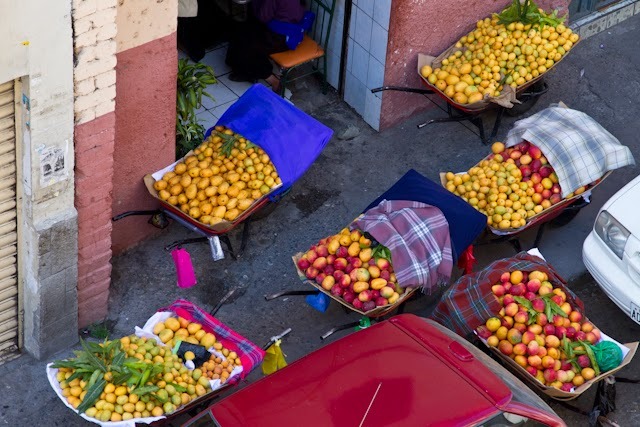 The wheelbarrows filled with ripe fruits are delivered daily in the early mornings, right below our apartment. 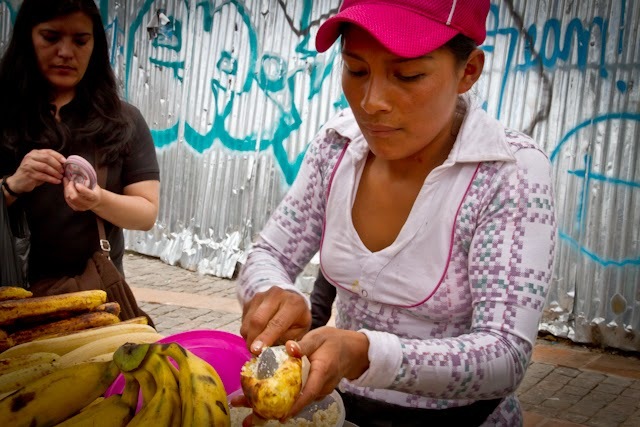 Vendors will arrive and wheel them away to sell the fruit along the streets of El Centro! The San Francisco Flower Market is three blocks from our apartment. 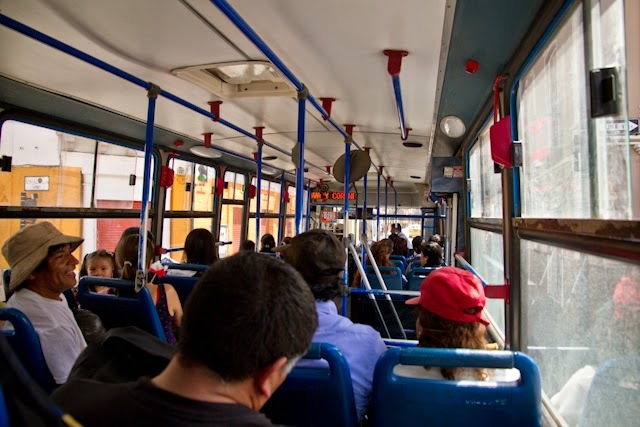 We enjoy riding the buses of Cuenca. 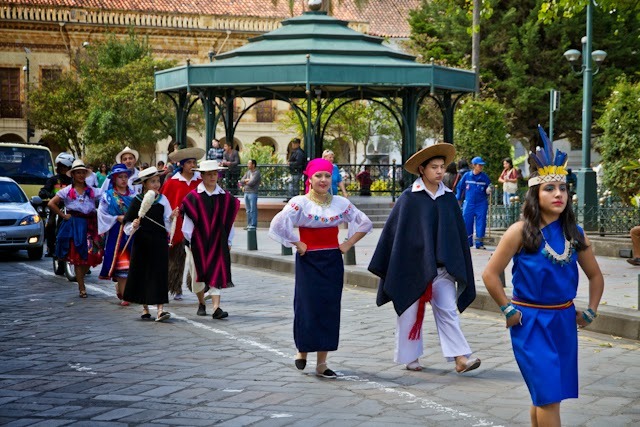 Cuenca always has a parade! 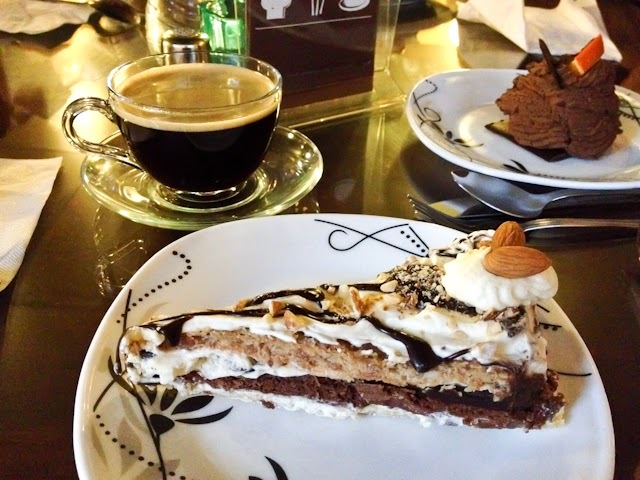 A family name plaque over the door says, "God Bless Our Home"
My favorite dessert in all of Cuenca - Almond Chocolate Torte! A cherished photo of Sr. Diaz shaking Bo's hand and thanking him for another meal. 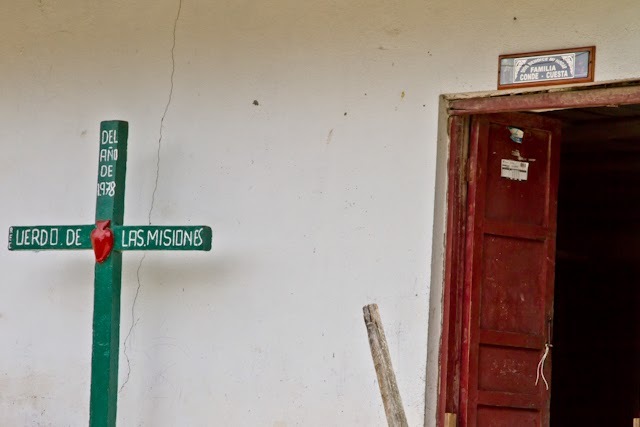 We are sad that Sr. Diaz is no longer living on his corner. His family took him to their home because of his failing health (he is 94 years old). We miss seeing and talking to him. 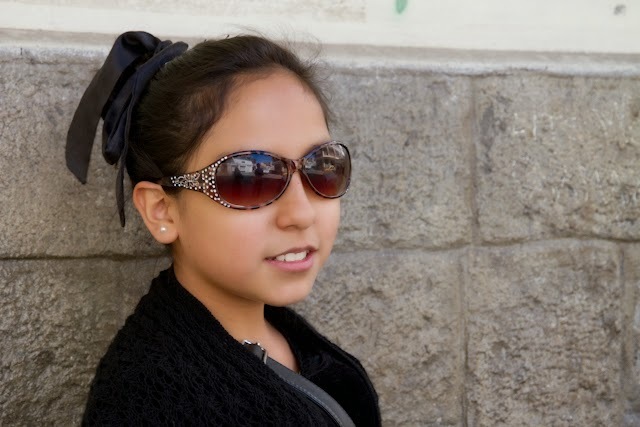 I hope you continue to enjoy my photography and reading my blog about our life in Cuenca Ecuador!! 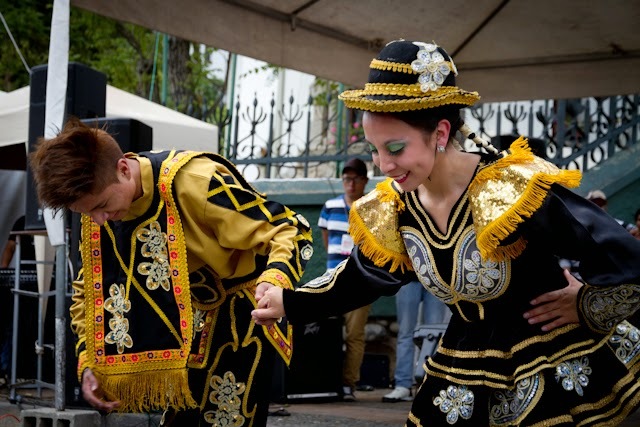 What I love most about living in Cuenca is the abundance of arts and entertainment. 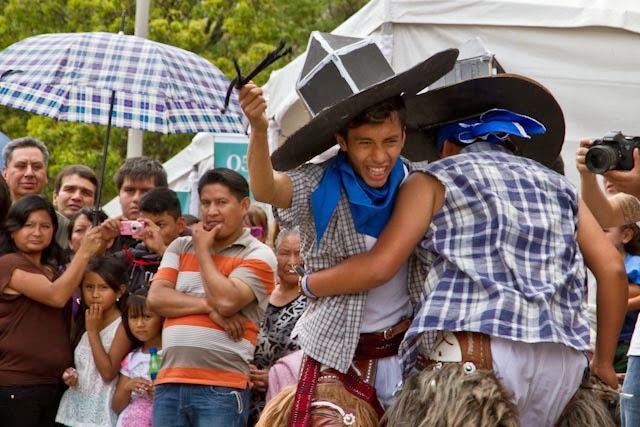 Every week one may find an evening concert to attend, an art exhibit to explore, see dancing in the streets or a festive parade marching by, listen to talented musicians in the parks, and on and on. Most of the entertainment is FREE and FABULOUS! 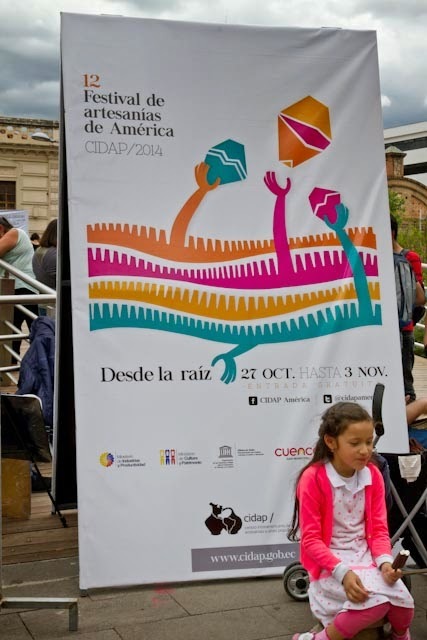 Then there is the Festival of Artists that happens twice a year. 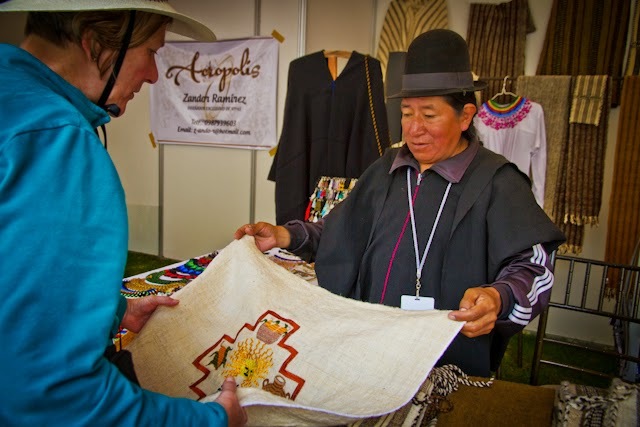 Artisans from Ecuador, Peru, Uruguay, Bolivia, Columbia and other countries come to Cuenca, set up their tents, and display their artistic creations for sale. This year's feria was grander than the last few I've attended. The crowds were greater, the art was more amazing than ever, and the festivities were so numerous, I missed so much! 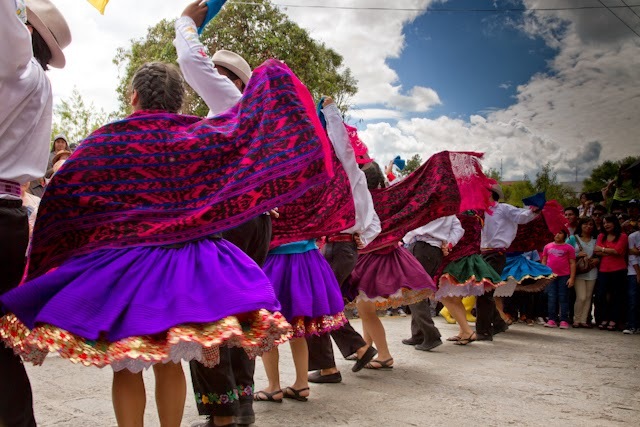 What I did see and attend consumed me (and my wallet) for four glorious days of music, dance, food, art, beautiful people, and the 194th anniversary celebration of Ecuador's independence from Spain. Living in El Centro, two blocks from the Tomebamba River has it's advantages. When my arms were loaded with wares, when I had to take a bathroom break, when I wanted to just take a break - I found myself 5 to 15 minutes "walking distance" away from my apartment. At night I could watch the most amazing fireworks right from my terrace. It was also a perfect meeting place for my peeps who shared these four fabulous days with me. 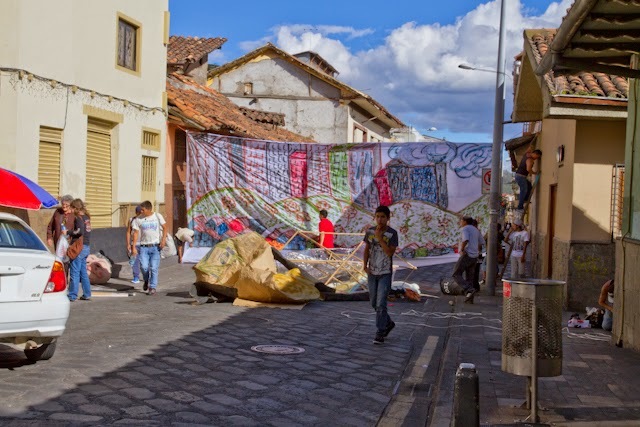 Yes, I still enjoy living in the heart of this fabulous Historic District, I still love my little Ecuadorian flat, and I still love LIVING IN CUENCA! What's not to love? It take several month from the moment they collect the tagua nut, until the moment the product is made and ready to sell. 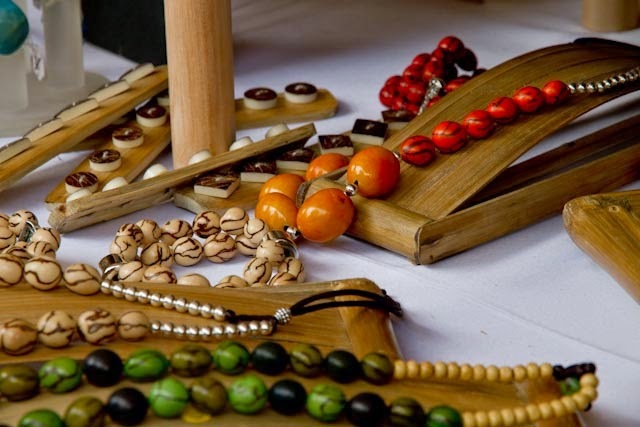 The tagua nut is a dried seed from the tagua palm tree, which grows in tropical rain forests of South America (Ecuador, Colombia, Peru and Brazil). Tagua is also known as natural ivory or vegetable ivory, because of its similarity with ivory (it's hard, unbreakable, resistant and beautiful), but tagua is natural. They don't have to kill elephant in order to get it. 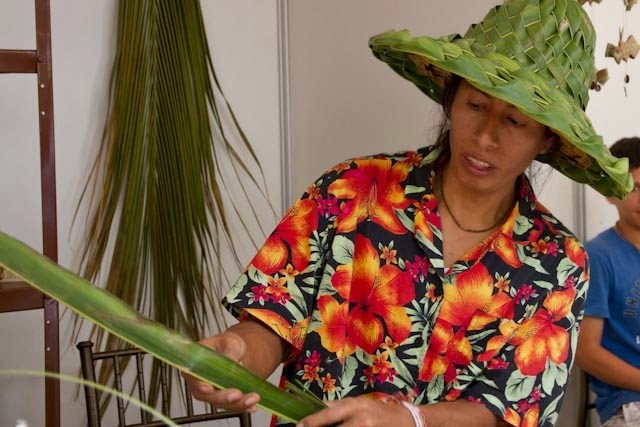 The tagua nut comes in a fruit that carries multiples nuts. Each nut has a shell that contains the seed. This seed is the size of a chicken egg and is covered in a thin brown skin. The nuts are sun-dried for 4 to 6 months before they can be worked with. Once dried, Tagua is carved and polished to a bright shine. Tagua's natural color is white but it is easy to dye and can be found in different bright or pastel light colors. 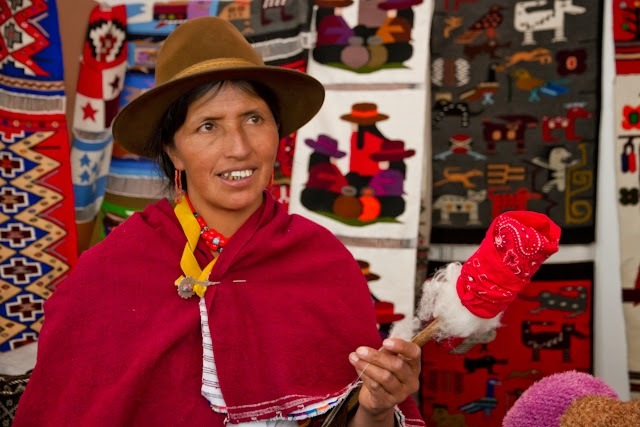 Handmade tagua jewerly is beautiful, colorful, resistant and unique. 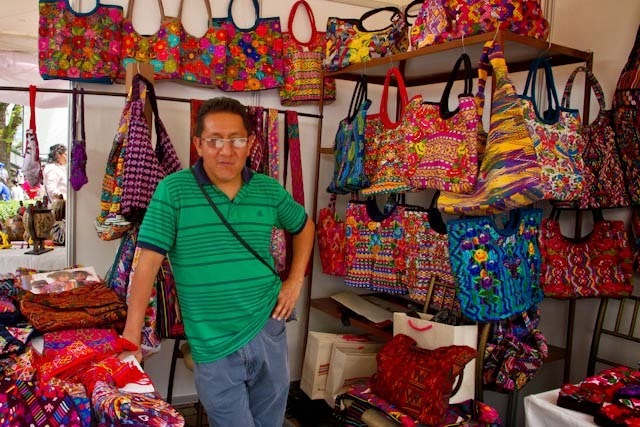 One of my favorite booths - beautiful handmade bags from Guatamala. Yes, I bought several of his little bags. 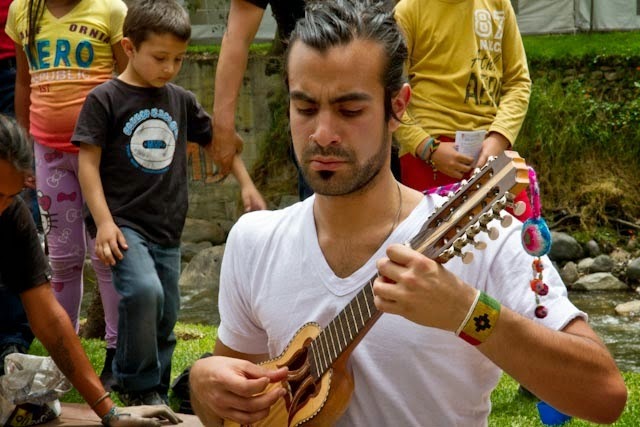 Talented street musicians graced the Tomebamba River. ......and their dances told a story. 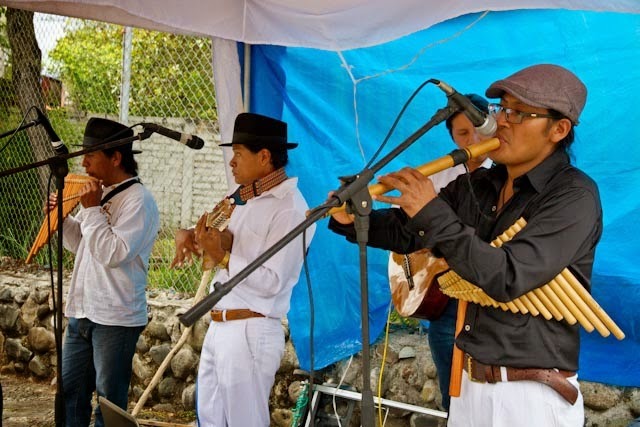 These lively musicians performed by the Broken Bridge (Puente Roto). 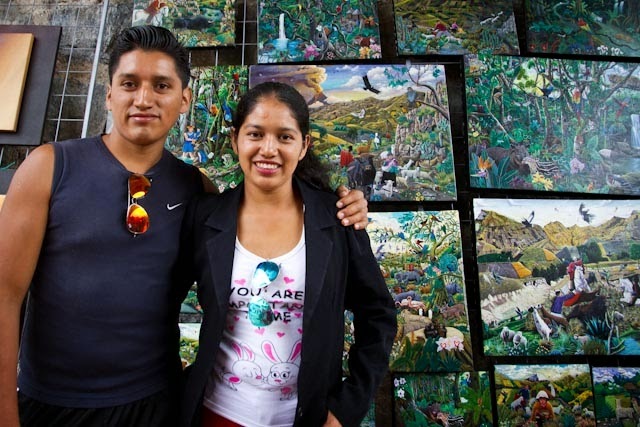 Another of my favorite artists - a (handsome) brother and (beautiful) sister, tutored at a very young age by their artist father - and their paintings were so detailed and beyond amazing. The painting of Noah's Ark that we coveted cost $1,600. Maybe next time!! The weather was glorious! Warm, sunny, rainy, stormy, hot - unpredictable each day. Yet, four days of mostly blue skies and warm temperatures. 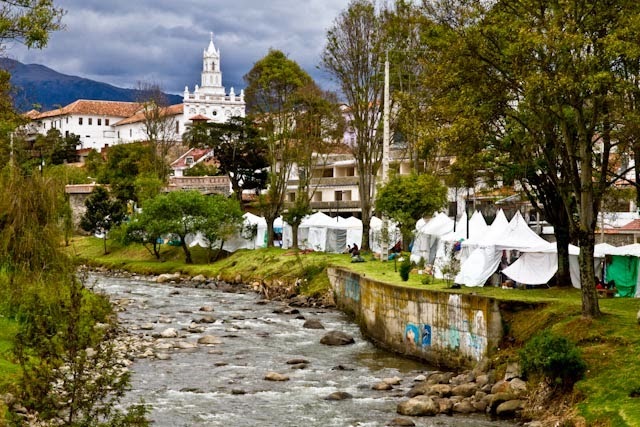 One of the joys of living in Cuenca is being surrounded by mountains, having four rushing rivers running through the city, and being graced with amazing historic churches. 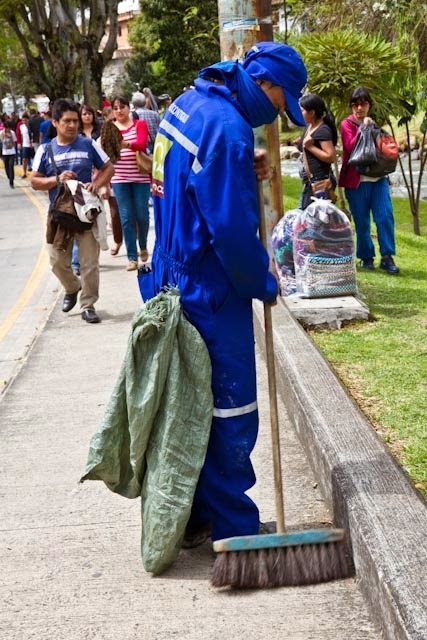 Our city is CLEAN - thanks to the blue people who sweep the streets day and night. How I appreciate them, and tell them so when I see them. 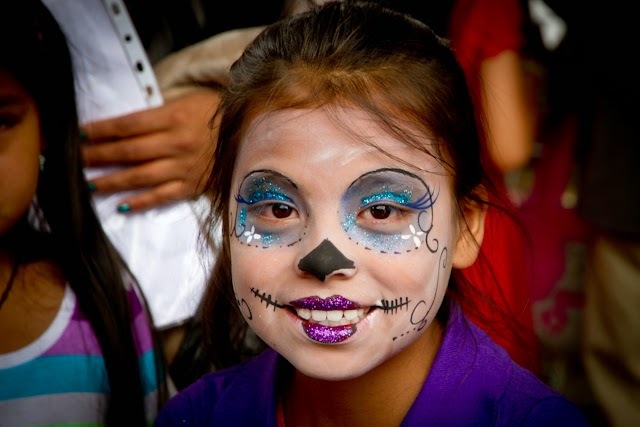 Parque Del La Madre was packed with families attending the festivities. The tables were ready for the crowds, and the vendors were anticipating their sales. 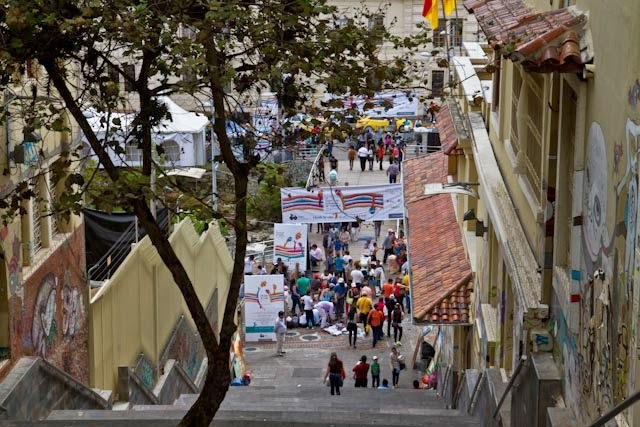 Heading down the stairs from Calle Larga leads us smack into the vendors tents lining the Tomebamba River. 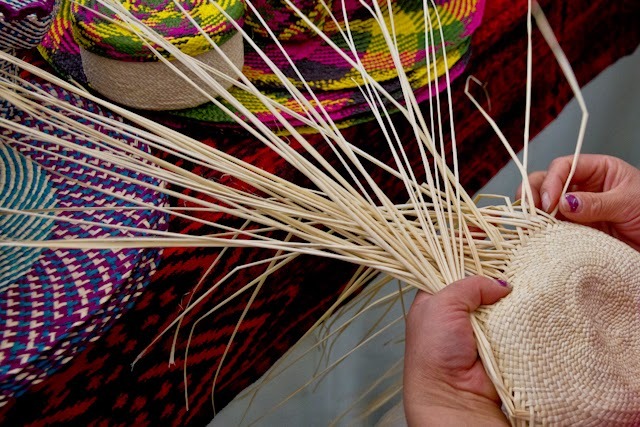 Admiring the fine detailed work of the Saraguro people of the southern Ecuadorian Andes. 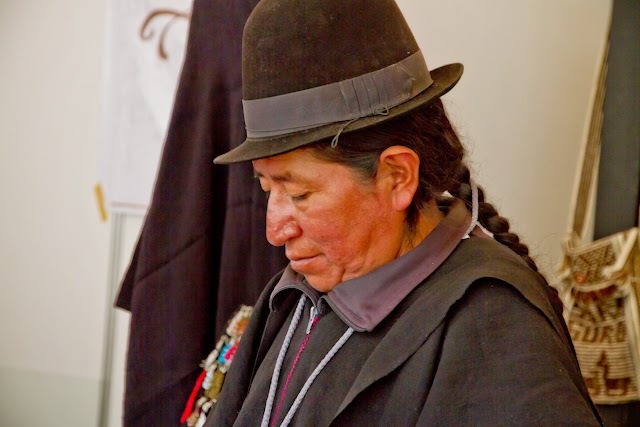 They are a humble and gentle people - and their attire sets them apart. 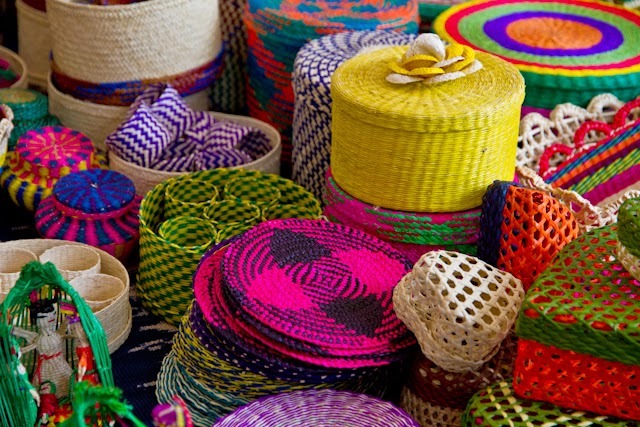 You know I'm not afraid of color - one of the reasons living in this colorful country makes me happy! 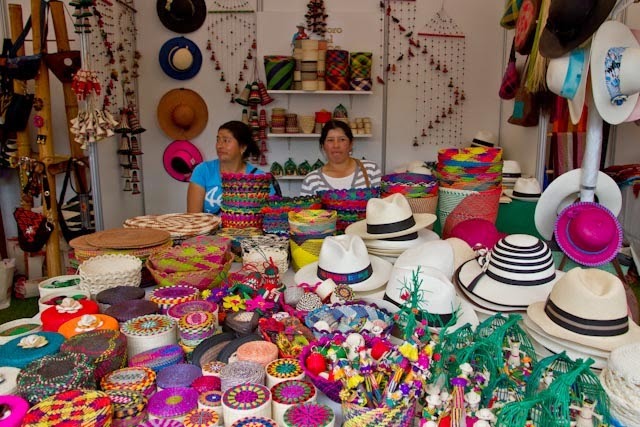 Some of the vendors would weave while they waited for their sales. 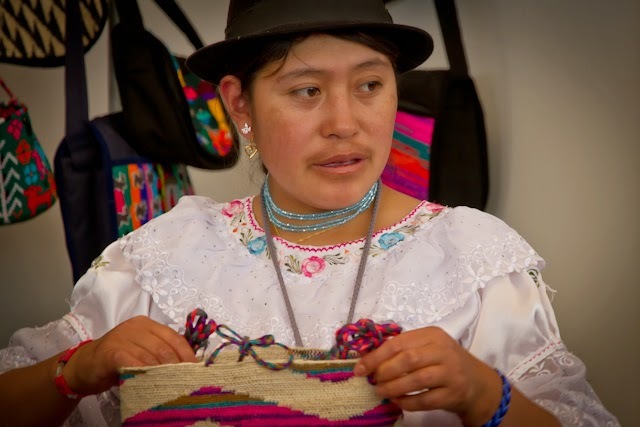 This beautiful woman from Baños-Ambato demonstrated her skill. 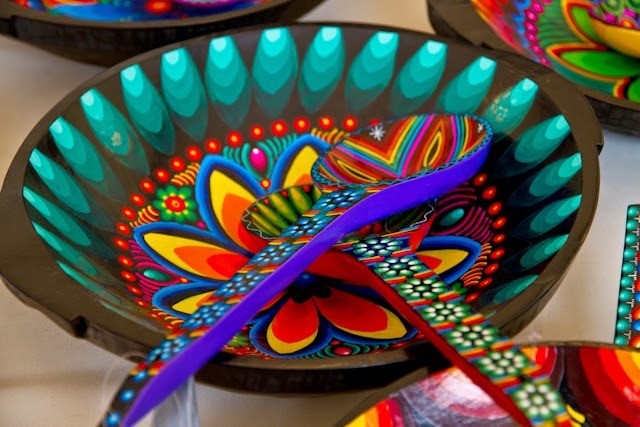 How can one resist these beautiful pieces? I wanted to buy one of everything! 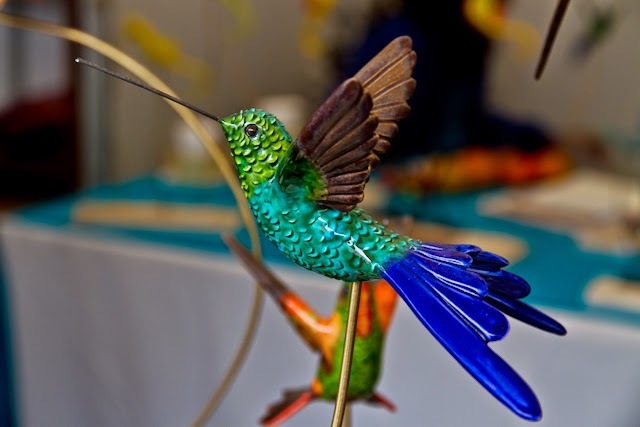 Un Colibri - Ecuadorians love hummingbirds! 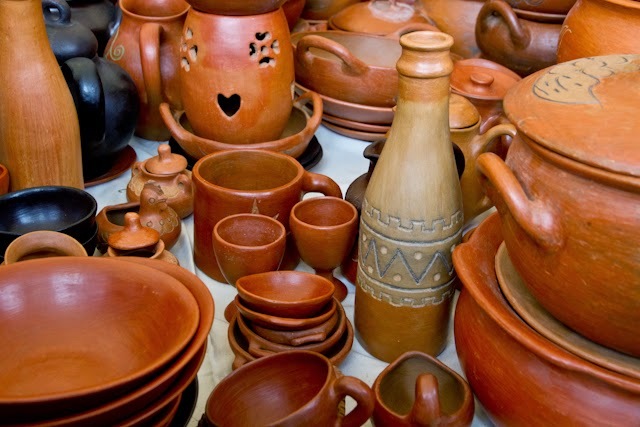 Rustic pottery was another of my purchases. 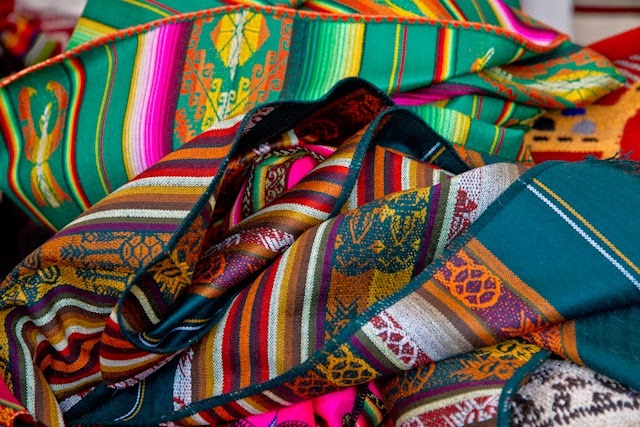 Every artist was dressed so beautifully, and it is how many of the more traditional people dress daily. 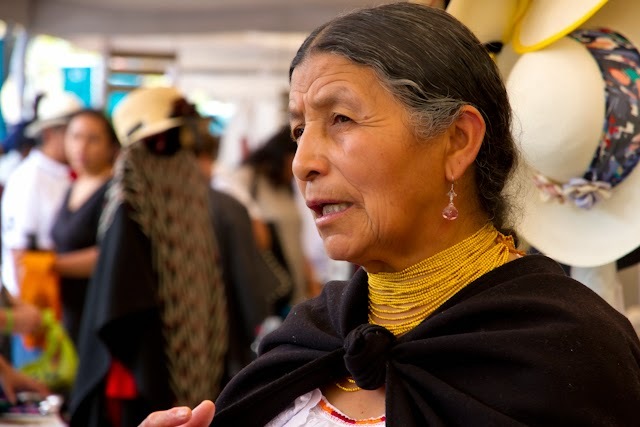 I admire the beauty of the aged Ecuadorian women - this vendor was so classy and of a gentle spirit. 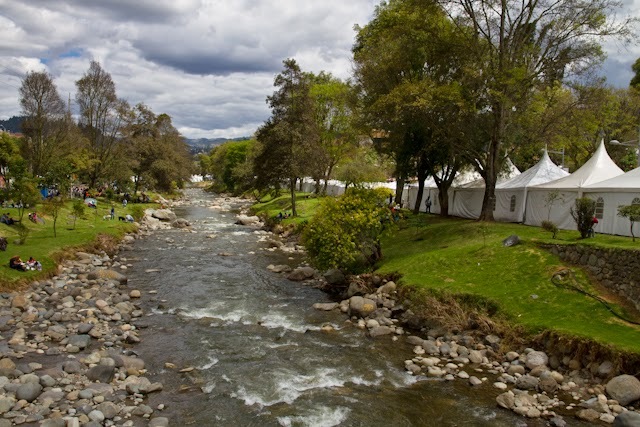 The banks of the Tomebamba River was a perfect place for the crowds to take a break. ......and their final bow! The crowds' applause makes them smile. .....then turns to the photographer for a full-view shot! ......then turns her sweet face to the camera! How blessed Bo and I are to be living in this beautiful country! ......stuffed with cheese! 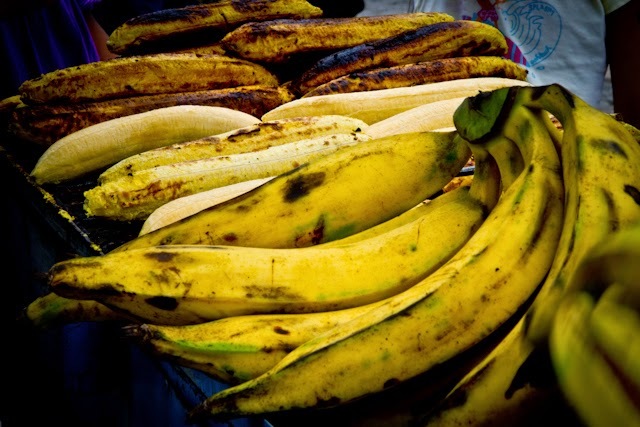 A favorite treat for the people of Ecuador. My sister-girlfriend, Lorena, is ready to indulge on her cheese-filled platano! 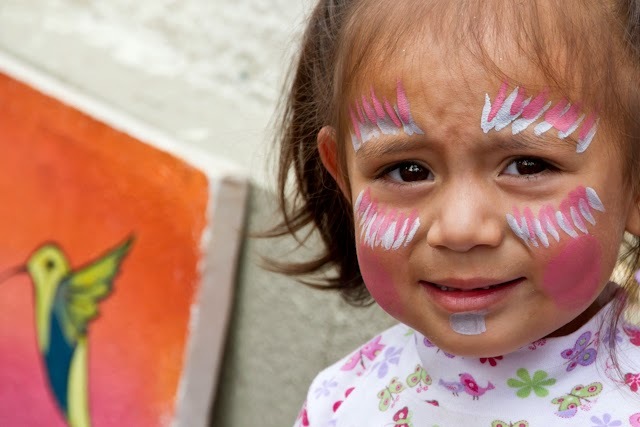 She arrived one day before this 4-day art event - and is here to stay! Does she look happy? You betcha! It's taken her 11 months to sell her Portland, Oregon home, pack her container, and arrive to her new city. 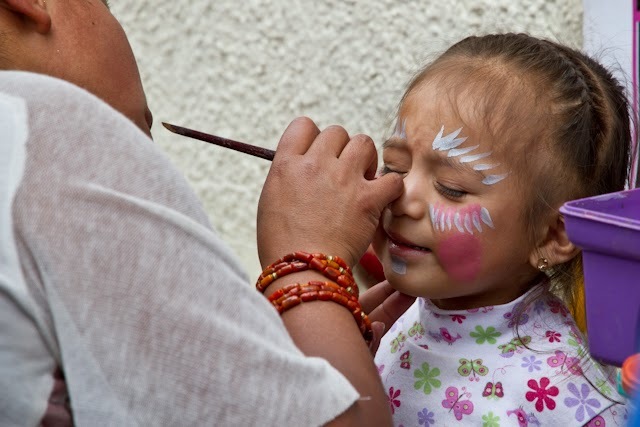 I told her that the entire town of Cuenca was celebrating her. I think she believed me. Colorful twirling dancers make me happy! A bystander joins in to give this dancer a twirl! The crowd and dancers clap and cheer them on. 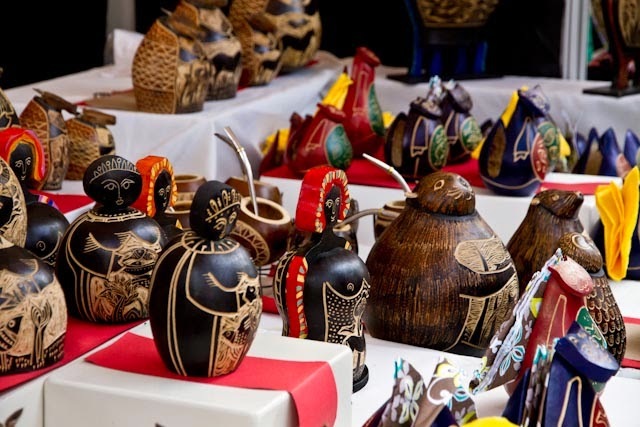 Gourd creations of an artist from Uruguay whose work I so admired. 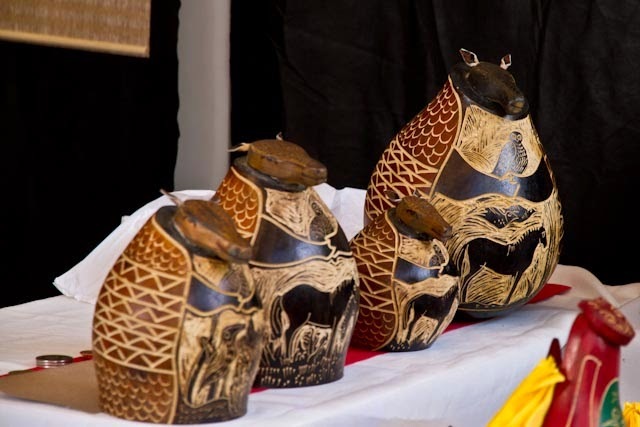 The large fat carved and painted Armadillo Gourd (calabaza) was my favorite purchase. A painted rock says it all - "Jesus YES I Love You" - Daily I thank Him for guiding Bo and me to this glorious country and for surrounding me with beautiful people and outstanding art. Enter your e-mail to receive updated posts!! Translate This Blog to your language!!! ©llongoodblog. Simple theme. Theme images by michieldb. Powered by Blogger.